President Rodrigo Duterte has stepped in to settle the leadership row involving separate factions of his political party, Partido Demokratiko Pilipino- Lakas ng Bayan (PDP-Laban). 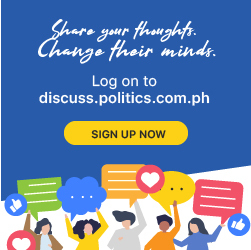 A source told Politiko that Duterte will call for a party caucus in August to unite the factions led by Senator Aquilino “Koko” Pimentel III and Rogelio Garcia. Pimentel, PDP-Laban’s president, and Garcia, who was elected the party’s president during the national assembly held Friday (July 27) in Quezon City, both agreed to meet Duterte. While Duterte is a member of PDP-Laban, his decision to call for a meeting has little to do with party loyalty than convenience. Politiko’s source said Duterte wants to unite the party so it will be clear which officials will sign the Certificates of Nomination and Acceptance (CONAs) of party stalwarts who will run in the 2019 elections. The filing of certificates of candidacy for the midterm polls will start in October. Politiko earlier reported that Duterte wants to create his own political party to strengthen his grip on power. However, his party, Partido Federal ng Pilipinas, failed to meet the deadline for applying for national accreditation with the Commission on Elections. In its place, Davao City Mayor Sara Duterte’s Hugpong Ng Pagbabago, is set to become the President’s political party since it was able to apply for national accreditation. Pimentel has dismissed the national assembly called by the Garcia-led faction as a “show” that did not have PDP-Laban’s approval.